Board Certified Ophthalmologist with specialized training in medical and surgical management of vitreo-retinal diseases and ophthalmic pathology. 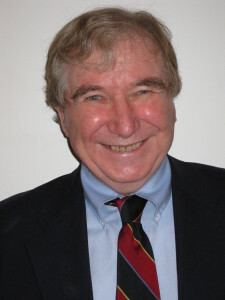 Dr. Weiter received both his MD and PhD from the University of Chicago. He has completed two fellowships, the first in medical and surgical management of vitreo-retinal diseases from the University of Chicago, and the second in ophthalmic pathology at the Armed Forces Institute of Pathology. While serving for the US Navy as a Lt. Commander, Dr. Weiter was the Director of Research at the Naval Medical Research Institute. Other noteworthy positions include serving as Director of the Retina Service at Tufts University, Director of Ophthalmology at the Veterans Administration Hospital (Jamaica Plain), and Director of Research and Senior Scientist at the Schepens Eye Research Institute/Harvard Research Institute. Additionally, he is an Associate Clinical Professor part time at Harvard Medical School and a senior surgeon at Massachusetts Eye and Ear Infirmary. Dr. Weiter has published extensively with an interest in Macular Degeneration and Diabetic Retinopathy and currently is a member of the American Academy of Ophthalmology and the Retina Society.